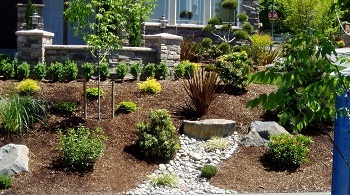 Landscape mulch and beauty bark are essential landscaping materials. The right choice of landscape mulch and landscape bark can make a world of difference to the aesthetics and health of your landscape. However, with the vast variety available in barks and mulches, choosing the best landscape mulch or landscape bark for your yard can be difficult. Cedar County Landscaping, Inc. can help you. We offer different types of landscape mulch and beauty bark, and help you pick the product which works best for your residential or commercial landscaping. 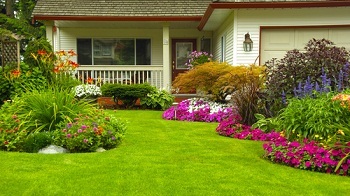 We are committed to helping you achieve and maintain a lovely landscape. Our landscape mulch and landscape bark or beauty bark products are one of the ways we make it possible. The topdressing of soil with landscape bark or beauty bark gives a very pleasing, neat, clean and professional look to your landscape. Landscape bark is generally made by shredding the bark from softwood trees and is one of the most popular landscape mulch materials. The rich color and texture of landscape bark adds a great deal of character to your landscaping. One feature that makes our landscape bark an ideal landscape mulch material is that it stays in place and does not get blown away easily. Beauty bark and landscape mulch are staples used in most landscaping projects. This is not without reason. 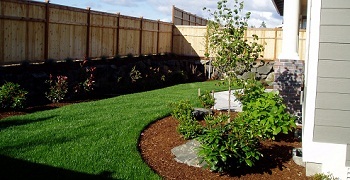 The benefits of beauty bark or landscape bark and landscape mulch go much beyond decorative use. These organic materials are a big help in protecting the foliage they are spread around and promoting plant health and growth. You are sure to experience greener, healthier and more attractive lawn, garden and grounds after using our beauty bark and landscape mulch on them. Add health and beauty to your lawn and garden with landscape mulch, landscape bark and beauty bark offered by Cedar County Landscaping, Inc. 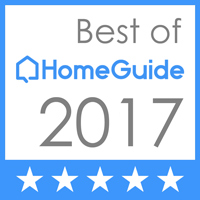 Call 425-358-2779.